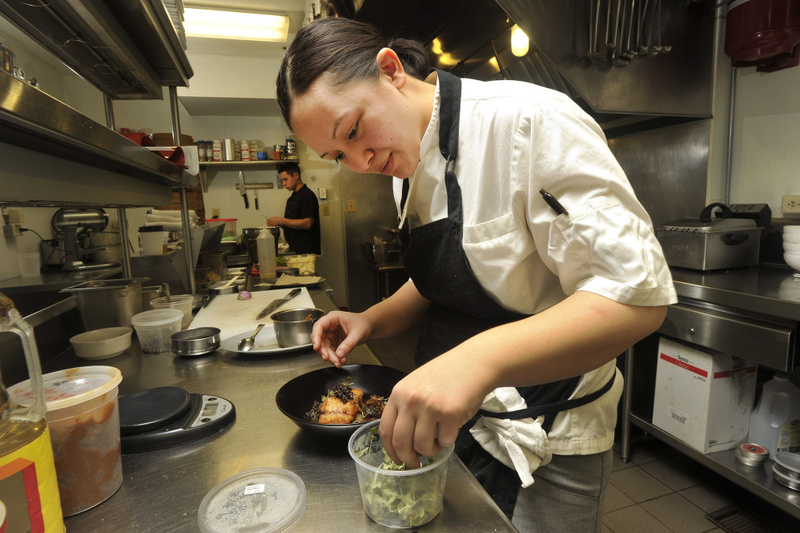 A dozen Maine chefs, restaurants, bakers and brewmasters have been named semifinalists forAmong the semifinalists are five Maine chefs nominated in the Best Chef: Northeast category. They are Brian Hill of Francine in Camden, who has now made the list eight times; Andrew Taylor and Mike Wiley of Eventide Oyster, who are semifinalists for a third time; Ravin Nakjaroen of Long Grain in Camden, who made the list twice before; and Keiko Suzuki of Suzuki’s Sushi Bar in Rockland, who was also nominated last year. The James Beard Awards are the most coveted in the restaurant industry. Anyone can nominate someone to be a semifinalist in 21 categories; this year, the semifinalists were chosen from more than 24,000 entries. The list will now go to an independent volunteer panel of more than 600 judges across the country – including restaurant critics, food editors and past winners – who will narrow it down to five finalists in each category. Finalists will be announced March 15. Maine restaurant industry professionals made a respectable showing this year. In addition to the Best Chef and Rising Star Chef awards, Drifters Wife in Portland is nominated in the Best New Restaurant category. Chase’s Daily in Belfast and Fore Street in Portland are perennial nominees in the Outstanding Restaurant category, which requires that a restaurant be at least 10 years old. Ilma Lopez of Piccolo in Portland is an Outstanding Pastry Chef semifinalist, and Alison Pray, one of the founders of Standard Baking Co., is up for Outstanding Baker. Wine, beer and spirit professionals from Maine made the semifinals as well. Portland Hunt & Alpine Club is nominated for Outstanding Bar Program, while Rob Tod of Allagash Brewing is once again up for Outstanding Wine, Beer or Spirits Professional. Last year, several Mainers were chosen as finalists, but none came home with the award.